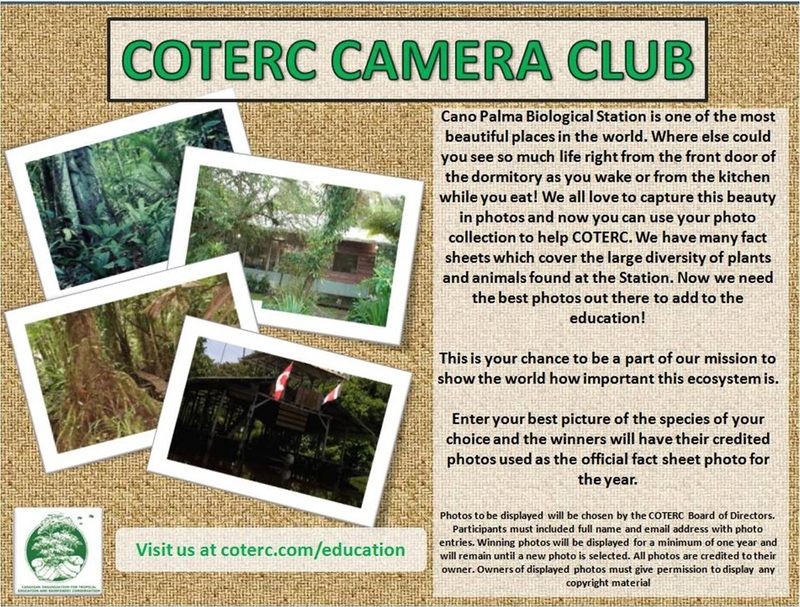 Now is your chance to have your beautiful photos displayed on the COTERC webpage. We are looking to you, our friends, to help us display the best pictures from CPBS and surrounding area. If you are a Member and would like to help us with our fact sheets, click on the poster above for more details. COTERC owns and operates the Caño Palma Biological Station located on the eastern coast of Costa Rica. This area is rich in biodiversity and home to a vast number of plants and animals. Our reseach into this wildlife is on going. We are happy to provide informative facts sheets about the local wildlife that has been found in and around the research facility. If you are interested in reading some of the many publications produced through research completed at our Biological Station, please click here.